There are so many toxins and insults that our bodies are dealing with now on a daily basis. This definitely takes a toll in our immune system. 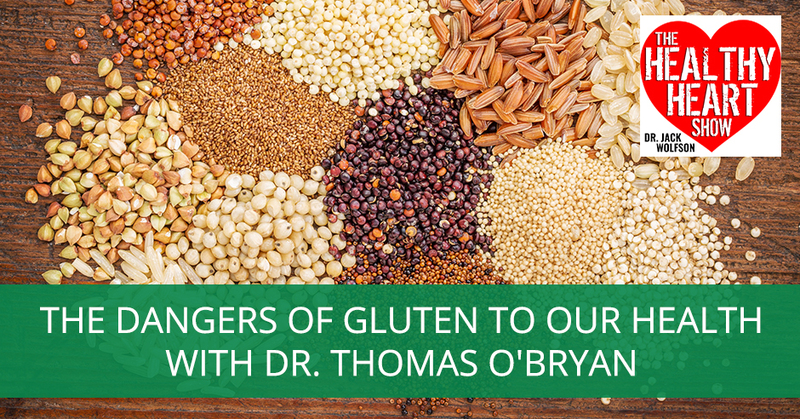 Dr. Thomas O’Bryan of The Gluten Summit gets down on this as he discusses the dangers posed by gluten. 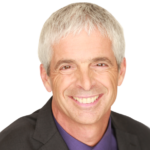 He talks about the leaky gut and gluten sensitivity as he explores wheat, glyphosate, and the poisons we are exposed to. It is said that for every one person with gut symptoms, there are eight who have symptoms somewhere else from a problem with wheat. 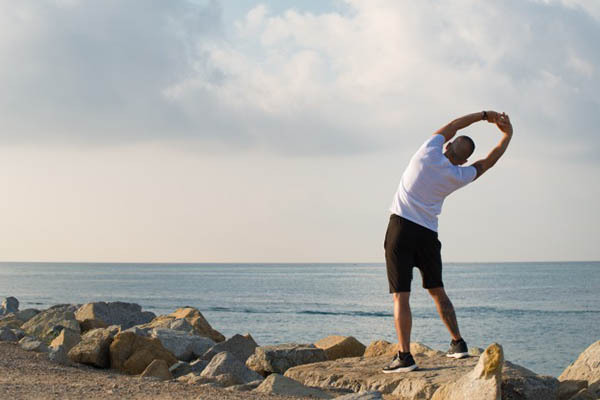 Dr. O’Bryan offers his insights and tips on how we can transform our health for the better. It is my honor and privilege to interview Dr. Thomas O’Bryan. If you do not know Dr. O’Bryan, I don’t know where you’ve been. You’re certainly not in the health space because he is all over the place with incredible information. My first exposure to you, Dr. Tom, is from The Gluten Summit. The Gluten Summit was such an extraordinary event. Give us a little bit of your background and then The Gluten Summit and then we’ll go from there. My good friend, JJ Virgin, who is the matriarch of online health education nowadays, she helps all of us understand the dynamics of how to carry a message out. We’ve been friends for fifteen years and she always used to call me, “You have to come to this seminar I’m going to.” I said, “What’s it about?” “It’s about online health.” “No, I’m not doing that.” Then she called and I said, “How much is it?” “$10,000.” “$10,000 for a weekend? Are you kidding me? I’m not doing that, no.” Then one day I decided to go. She was hosting an event and I wanted to support her so I went. That was in January of 2013 and my jaw dropped to hear how the attendees at this event were reaching so many people just by carrying their message out online in one format or another. I raised my hand that weekend. I said, “I’m sorry, but I have to ask this question. What’s an affiliate?” I didn’t know anything about this world of how to ask your friends to help you carry a message out, but that weekend I made a declaration. I said, “I’m going to interview the world leaders.” The guys in the world because I’ve read their research. I know all these guys by their writings. I don’t know them in person but I’m going to interview them. “I’m going to go around the world and interview them and I’m going to carry this message out. I’m going to put on a summit and it’s going to be online. Will you guys help me carry the message out to all of your spheres of influence?” They all said they would and eleven months later, we launched The Gluten Summit, which was the first health summit of its type in the world as far as I know. It was quite remarkable. We had 118,000 people attend and the accolades and then the 18,000-plus comments on Facebook to us, “Thank you so much, you saved my daughter’s life,” all that type of thing. That got me into this world. The very first guy I interviewed for The Gluten Summit, I went right to the top. I went to Oxford, England and interviewed Professor Michael Marsh. If you’re a gastroenterologist, you know that when you’re looking for celiac disease, you put a tube down the throat, down into the stomach, into the small intestine. You snip out a little piece of the intestine, tiny little bit and look at it under the microscope. That’s how you diagnose celiac disease. The guys that are looking under the microscope, the pathologist, the classifications, Marsh 1, Marsh 2, Marsh 3, this was Marsh. He was the godfather of all of it. At 75 years old, he has never been interviewed. He took me by the arm walking me around Oxford and he said, “Tom, right over there is where I stood when I received my medical degree in 1962.” “That’s fabulous, Professor, that’s really fabulous.” When you hear him talk about the dangers of a sensitivity to wheat without celiac disease, it just stops you in your tracks. We interviewed so many world leaders for The Gluten Summit and that got me into that world. I realized that we could reach a lot of people and carry this message out for a real paradigm shift so people start thinking differently. Why gluten though? You’re sitting there and you’re at JJ Virgin’s event and for those of you that are not familiar with this, this is an event called Mindshare. It’s some of the best online healthcare promoters to get the message out there to the world. They’re recovering medical doctors like me, they’re natural born healers like Dr. O’Bryan, but in 2013 when you’re formulating this idea of the summit, why gluten? I had started back in 2004 speaking on stage about the dangers of wheat and that talk is called the Conundrum of Gluten Sensitivity. Most practitioners believed that if you didn’t have celiac disease, there’s no problem with wheat. The studies were starting to come out and now it’s very, clear and there’s no argument anymore. Harvard published a couple of studies on this, that every human gets intestinal permeability or the slang term is the leaky gut. Every time they eat wheat, within five minutes of it getting into this small intestine, they’ve got intestinal permeability. You’ve got the videos from Harvard. They’re so cool because you see it happening in real time. You see what happens when it gets down there. Mrs. Patient has an entirely new body every seven years. Every cell in your body regenerates. Some cells are very quick, the fastest growing cells, the inside lining of the gut. Every three to five days, you have a new lining to your gut. Some cells are very slow like bone cells or brain cells, but they do regenerate. You have a toast for breakfast, wheat, you tear the lining of the gut but it heals. You have a sandwich for lunch, you tear the lining of the gut, but it heals. You have pasta for dinner, you tear the lining of the gut, but it heals day after week, after month, after year, after year, until one day you don’t heal anymore. That’s called the loss of oral tolerance, oral meaning eating. You don’t heal anymore when you eat wheat. You tear the lining like you do every other time but now it doesn’t heal. Now you get pathogenic intestinal permeability, the leaky gut, and that’s the gateway into the development of autoimmune diseases. In my first book that came out years ago called The Autoimmune Fix outlines that in detail. That book won the National Book Award. It’s such a good book because it outlines this whole mechanism for autoimmune disease. What’s relevant with this talk is that most people don’t know the number one cause of death in this world now is cardiovascular disease, but atherosclerosis, the plugging up your pipes is an autoimmune mechanism. That’s what causes the pipes to plug up. The question is, what’s the number one mechanism in getting sick and dying in the world now? It’s your immune system trying to protect you from something. It’s the autoimmune mechanism. The question is what’s it trying to protect you from? 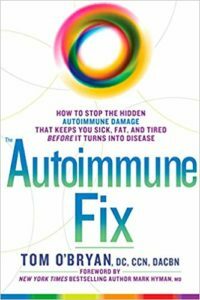 When you read The Autoimmune Fix, it becomes very clear. I just walk you through how this occurs and there are over 300 studies in that book. People get the big picture and they understand the cardiovascular disease is an immune response to something. What is it trying to respond to? “Mrs. Patient, your immune system is the armed forces in your body. It’s there to protect you. There’s the Army, Air Force, Marines, Coast Guard, Navy, we call it IgA, IgG, IgE, IgM. They’re different branches of the armed forces. What’s it trying to protect you from is the million-dollar question?” When you start thinking that way and you start investigating, you find out what your immune system’s trying to protect you from and for so many people, wheat is a primary concern. You put it so eloquently there and all of it. When I give my lectures and I’m talking to people, I tell them this information that cardiovascular disease is autoimmune. I say, “Do you know how many people understand this? Do you know how many cardiologists understand this? One.” The body’s not making mistakes, it’s just responding to its environment. When you have that leaky gut, it leads to a leaky heart. When my wife first mentioned the idea of the leaky gut syndrome to me back in 2005, I laughed in her face. I said, “I went through ten years of medical training, where did you get this bogus diagnosis?” She said, “That’s your problem that you don’t understand it. Go read about it.” I went to go read on it and there was not much in the literature at the time. I went to go speak to holistic health providers like yourself and what you all said certainly made sense. Over the last ten years, the medical literature has exploded on the idea of leaky gut and gluten sensitivity, the ability to test for it. We’ll go into that further as we go along. The understanding of getting this out there is important, critical, basic and fundamental in nature to it. A lot of people will say, “Is it the wheat that people are eating?” Because when I go to Europe, I don’t feel as bad as I do if I eat wheat and gluten here in the United States. What’s the difference about the wheat? Is it the glyphosate? Is it the poisonings? Is it you’re on vacation, you’re in a better mental state, and therefore didn’t seem to suffer the consequences? The proteins of wheat are like a pearl necklace. When you eat wheat, the hydrochloric acid made in your stomach undoes the clasp for the pearl necklace. You have this string of pearls. The enzymes that are made by your pancreas, your gallbladder and the microbiota, the good bacteria in your gut. These enzymes act like scissors to cut the pearl necklace into smaller clumps of the pearl to snip and snip until you get all the way down to each pearl of the pearl necklace, that’s called the amino acid. Your intestines are a tube from the mouth to the other end, just one big long tube. If you think of a donut, if you can stretch a donut out, one big long doughnut and you let down the donut, that’s your intestines. If you swallow food, it’s inside the tube. It’s not in your body yet. It’s got to go through the walls of the tube to get into the bloodstream, but the inside of the tube is lined with cheesecloth so only small molecules can get through. That’s why proteins have to be snipped so that each pearl can go right through the cheesecloth. The problem with wheat is that no human has the scissors to break wheat proteins down into each pearl of the pearl necklace. The best we can do is clumps of the pearl necklace, those are called peptides. Those peptides are inflammatory. They cause inflammation, which is what tears the cheesecloth, and it gives you the leaky gut. There are many different clumps of the pearl necklace or peptides that your body can fight or can respond to. We now know that the symptoms of gut problems when you eat wheat, whether it’s bloating, gas, constipation or diarrhea, those kinds of gut symptoms. Those are the lucky people by the way because when they eat something, they feel it and so they know that that caused it, “What I ate caused what I’m feeling.” The unlucky ones are the ones who don’t get gut symptoms and the ratio is eight to one. For every one person with gut symptoms, there are eight who have symptoms somewhere else from a problem with wheat. It could be your brain, it could be your gallbladder, your joints, ringing in the ears. It could be any system of your body. Eight to one is the ratio. Those that get the gut symptoms, the lucky ones, they notice when they go to Europe, they don’t get any gut symptoms when they eat the wheat there. Why is that? Because the clump of the pearl necklace from wheat that causes the gut symptoms that the armed forces get activated to fight that clump is called FODMAPs. That’s a particular component in wheat and many other foods. It’s the FODMAP component of wheat that causes the majority of gut symptoms, not the gluten proteins or the other clumps of the pearl necklace. The other clumps of the pearl necklace, the gluten proteins and there are many others, they cause what the Italians call lack of well-being, meaning you feel terrible. It might be your gallbladder, it might be your spleen, it might be your joints, it might be your skin. It’s a lack of well-being, but the GI symptoms are the symptoms that we’ve always associated with what we eat. FODMAPs caused the GI symptoms in wheat. The wheat in Europe is much lower in FODMAPs. That’s the strain of wheat that they use over there. It’s the commercialized hybrid forms that we use here that are higher in FODMAPs because it causes more elasticity. The bread can rise higher and be lighter because it sticks together. It’s the FODMAPs, but if your sensitivity is to your skin or to your joints, you still have the antibodies to your joints that get produced when you eat wheat in Europe. You’ve got the antibodies to your joints or the antibodies to your heart or the antibodies to your brain but you don’t feel it. When people are saying, “I’m going to Europe and I could eat the wheat there.” I said, “No, you can’t.” They say, “I feel okay when I eat.” “Let’s do this test. We check you with the Wheat Zoomer a year ago and you had lots of problems. You’ve been good, you cleaned it up. We rechecked you seven months later, eight months later, now all those antibodies to wheat are gone. We know you’re in good shape. If you’re going to go to Europe and you’re going to eat the wheat over there because you don’t feel bad when you eat it. When you come back, we’re going to do another blood test to see, have the antibodies to wheat gone back up again even though you feel fine when you eat it over there.” I’ve only had about six, seven patients who have done that but every single one of them, the antibodies went right back up again. This is absolutely brilliant stuff from Dr. Thomas O’Bryan. He did The Gluten Summit and The Autoimmune Fix and he’s got a new book that’s out there. When I went back and started looking in the medical literature for intestinal permeability or this concept of leaky gut, things started trickling into the literature certainly over the last five years. Even back in 2007, there was an article in the Journal of the American College of Cardiology, the biggest cardiology journal in the world. In there, it talks about intestinal hyperpermeability and heart failure. I can only tell you that the average cardiologist would never even bother reading that. I know I didn’t read it in 2007. It had no interest to me back then but it’s so fundamental to what we’re talking about. I’m in the process now of writing a chapter for a new textbook in cardiology that’s coming out by Dr. Mark Houston. He’s a great cardiologist and vascular biologist, that means the health of the blood vessels. My chapter is on food-related disorders, especially wheat and cardiovascular incidents. Everything from cardiomyopathy, which is a swelling of your heart and the muscle gets weak to congestive heart failure to increased homocysteine levels, that’s called the silent killer, that’s what killed my dad. Gluten sensitivities often will cause elevated homocysteine levels because we all know as docs, if there’s a homocysteine problem, you give them the B6, B12, folic acid, trimethylglycine, the B vitamins and a couple of things. You bring that homocysteine right down to normal and everybody’s safe, but docs don’t check port so they don’t look for it. If you have a sensitivity to wheat, the B vitamins are absorbed in the first part of the small intestine called the proximal part of the small intestine. That’s exactly where the inflammation occurs and exactly where the intestinal permeability begins when you eat wheat. When you have that inflammation in that part of the intestines that absorb the B vitamins, you don’t absorb B vitamins. If you don’t absorb B vitamins, you get higher levels of homocysteine. If you get higher levels of homocysteine, it causes unexplained miscarriages, strokes, and heart attacks. Google homocysteine and miscarriages and here come all the studies. I’ve published a paper on that in 2012, maybe 2011, in practical gastroenterology and B vitamins and unexplained miscarriages. It easily could be because of a sensitivity to wheat, that could be the trigger causing the inflammation in the gut where those vitamins are usually absorbed so you don’t absorb them. You have elevated homocysteine levels and all the problems that can cause. You mentioned cardiovascular health and wellness. Another thing that obviously I get people from all over the world who come to see me and that’s for heart rhythm issues, including atrial fibrillation. Part of the leaky gut diagnosis and the intestinal hyperpermeability is the anti-actin antibodies. Actin is that tiny little protein found in all muscle tissue, the smooth muscle tissue of the gut, the smooth muscle tissue of the arteries, and the heart muscle itself. It stands to reason that if your body is attacking in an autoimmune fashion the atria, then you have atrial fibrillation. You and I know that, Dr. Tom, but how many cardiologists either don’t know it or they don’t care? I typed in on PubMed atrial fibrillation, celiac disease, there are fourteen studies on it and so you just check. Wheat is one of the most common undiagnosed food sensitivities. As far as we know, every degenerative disease is a disease of inflammation. At the cellular level, the cell’s always on fire. The question is, is it a heart cell or a brain cell? Is it gasoline or kerosene? You want an anti-inflammatory lifestyle and wheat is inflammatory for everyone. It’s just a question of if you’ve crossed that threshold yet, that loss of oral tolerance. That can happen when you’re two years old, 22 years old, 92 years old. Whenever you cross that oral tolerance level, now the problems begin. Dangers Of Gluten: The body’s not making mistakes, it’s just responding to its environment. You made a great point earlier on too that the people that sometimes have the symptoms to wheat, they’re the lucky ones. We’ve seen patients over the years when we both have like, “Mrs. Smith, you’ve got to give up the gluten.” She’s like, “Why? I don’t have a problem with gluten.” I say, “You’ve had a heart attack. Maybe it was from the gluten.” Then they get it. Certainly, you and I are not going to wish celiac on anybody as far as like, “It’s a good thing you had celiac because now you know for the future because that can be difficult to overcome.” Although I’m sure, in your skilled hands obviously it becomes a lot easier. The danger is more in non-celiac wheat sensitivity. That’s the real danger that people don’t know and docs don’t check for it. We have a tool, the tests that you referred to earlier and that I did, the Wheat Zoomer, which has a 97% to 99% sensitivity and a 98% to 100% specificity. That means every time, it’s right on the money. There have never been laboratory tests like that ever in any area of medicine. Just like it would take twenty by twenty rooms full of computers 25 years ago to do what my iPhone can do now. It’s all done here. The same is true with laboratory technology and our laboratories are just not keeping up with the latest cutting-edge technology, Vibrant is, and this is published by Mayo Clinic. They published the article on this that gave those statistics as to the sensitivity and specificity. This is from Joe Murray and his team at Mayo and he’s one of the godfathers of celiac. There are four guys, I call them the Four Horsemen in celiac disease. 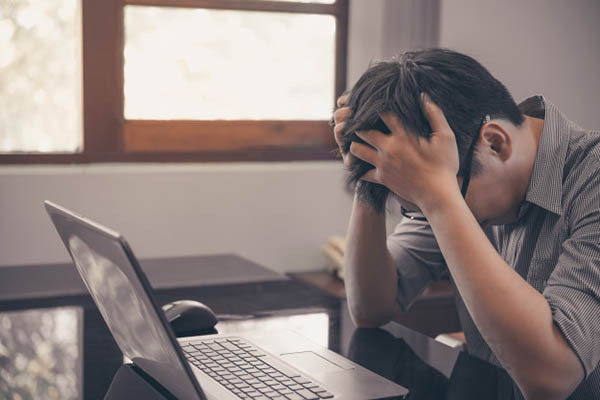 For the last twenty years, they’ve been doing so much to carry the message out, “It’s more than just a gut problem.” There’s Peter Green at Columbia, Alessio Fasano at Harvard, Stefano Guandalini at the University of Chicago, he’s retired now and Joe Murray at Mayo. Joe Murray is the one who wears horn-rimmed glasses, bow tie, leather patches on the elbows of his sports coat and has no pharmaceutical affiliations whatsoever. He’s the geek of geeks and purist of intent to help humanity. They all are, but Murray is baseless with any outside interest. He said, “It’s a new era in laboratory medicine.” It’s like, “Wake up, everyone. Wake up to this.” As you know, Dr. Jack, when translational research, meaning research that changes the way we think when it’s first published and when the doc down the street is using that research, the average is seventeen years. It’s not extreme, that’s the average. What percentage of people would you say are sensitive to gluten? From what you’re saying right now, and I don’t disagree with you, I would agree with you that pretty much everybody is sensitive to gluten and its components. It’s certainly now or they’re going to be like nobody’s escaping this life without having an issue with the gluten proteins on and on. It’s a balance, it’s like a teeter-totter. How many anti-inflammatory things are you doing? Like eating berries and other having quiet time every day going for walks or whatever your thing is. How many inflammatory things are you doing, like eating French fries and not getting enough sleep or whatever it should be? There’s a whole world of factors that come into play as to when you lose oral tolerance and that’s what you’re asking me. When do you lose oral tolerance? When you lose oral tolerance, that’s when your immune system says, “We need to protect you here.” We have a test that is accurate, 97% to 100% accurate to tell you when you’ve lost oral tolerance. Clinically in our practice, we’ll see maybe two people out of fifteen that come back normal with no problems. It’s that common because there are so many toxins, so many insults that our bodies are dealing with now on a daily basis. The Journal of Pediatrics published a paper and I talk about this a lot in The Autoimmune Fix that it’s 250 pounds of toxic chemicals per person per day that are being dumped in the US. That means for you and me, Dr. Jack, that’s 500 pounds, ten 50-pound bags every single day. It’s no wonder that when they checked the blood of newborn babies in the United States, the average is over 180 toxic chemicals in their bloodstream at birth that aren’t supposed to be there and many of them are nerve or brain toxins. That’s a tremendous contributor to the increase in autism that we’re getting. That vaccinations don’t cause autism and I tell every doc I meet on stage, “Don’t ever say vaccinations cause autism. You sound like a nutcase. Vaccinations may cause autism.” That’s very true and there are lots of science for that, but you can’t say they do cause autism or else every person who gets a vaccination would be on the autism spectrum. Maybe they are, Dr. Tom. I’ve got young kids and I see who goes to some of these schools and I see some of the kids that are on the playground. I think they all are on the spectrum at this point. There’s a lot of validity to that in terms of with all the toxic chemicals these kids are being exposed to in their brains but it’s the accumulation of all of it. There was a study that came out a couple of years ago. Government-commissioned, should we recommend women not to breastfeed in their first pregnancy? It was three years, supposed to be a six-month study. They went almost three years before they came out with their conclusions. People over there eat a lot of fish, the fish come from the fjords that are long and narrow and deep, but the farmers had been using PCBs, DDT, insecticides, pesticides on their crops and the rain washes all that stuffed under the fjords. They’re narrow so they accumulate. The fish are full of PCBs. There is no evidence anywhere that the amount of PCBs in the fish that you eat is a problem, but 25 years of accumulating little bits of PCB every two days when you eat fish or every three days, if you eat fish every three days. That little bit of PCB that your body can’t break down accumulates. Where does it accumulate? They’re called endocrine disrupting chemicals because they affect your hormones. They accumulate in your hormone-living selves like your breasts. 28-year-old women, first pregnancy, healthy pregnancy, feeling great for newly married, first baby, healthy delivery. Now her brain says, “Let’s make some milk here.” The lactation process begins in the breast and where do the breasts get the fuel to make milk? It’s the fat cells of the breast and the fat cells are loaded with 28 years of PCBs. The mother’s breast milk is highly toxic to the baby. Only the first pregnancy because after that they’re detox. You’re fine, but it’s that accumulation of 20, 25, 28 years of minor amounts. What do you do? The government commission came out and said, “We think it’s more important to breastfeed than not.” I personally agree with that, but my position is every woman of childbearing age needs to be told about this and they need to detox their breasts before they get pregnant. It’s certainly a sad situation. My wife and I together saw two young Indian boys and Indian people are known to have the worst coronary artery disease in the world, but they were just children, seven-year-old and nine-year-old. The nine-year-old was on the autism spectrum and the seven-year-old, not so much yet. The seven-year-old had some evidence of eczema and some pitting of the fingernails. There are some autoimmune type phenomena going on. We ran the Wheat Zoomer looking for leaky gut on both of those young boys. They both lit up like a Christmas tree because the colors in Vibrant America are the red, yellow, green and a lot of reds on there. What we told them, there’s evidence of leaky gut, there’s gluten sensitivity in all these different areas and antibodies that we’re testing, is that your seven and nine-year-old, we’re going to help with their brain by fixing the leaky gut and getting them off gluten. We’re going to help with these autoimmune issues but what we’re going to do, what got me jazzed up was to say, “If you follow the program here, we’re going to prevent your children from dying of a heart attack in 30 years,” and that was pretty powerful stuff. It’s great that you package the ideas that way for the parents because most people aren’t trained in how to think about this stuff. We’ve got to tell them what the positives are. We have to tell them that we’re going to prevent this in the future, and your child’s brain’s going to work a lot better. They’re going to be healthier. We’re going to stop all this stuff where we’re going to slow it down, we’re going to do the best that we can, but they’re not going to have heart attacks when they’re 30, 35 years old. I often tell this story. My wife was the reason for my converting and opening up my eyes to holistic health and true healthcare as opposed to the sick care model where I came from. My father died of a Parkinson’s like illness and it was certainly multifactorial. Do I think my father had a leaky gut, a leaky brain? No doubt. Your new book, a runaway Amazon bestseller. 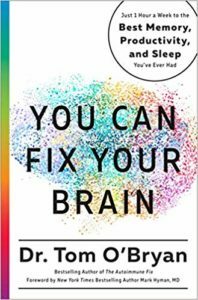 Anyone who’s reading this, go out and get Dr. Tom’s new book, You Can Fix Your Brain. I’ve got an advanced copy on it and it is absolutely outstanding. It is 400-plus pages of information. How many references did you get in there to prove what you’re saying? It’s 380, somewhere around there. Don’t you love when people are like, “That’s just a fad or that’s just some crazy doctors talking?” If you’re insulting Dr. Tom O’Bryan and his new book, you’re insulting the PhDs that he talked about in Cambridge and all these high-tech institutions, people who are borderline Nobel Prize winners in medicine. You’re insulting those people by insulting us. In my book, I’ve got 300 references. Wolfson was a great cardiologist until he met his chiropractic wife and went off the deep end. If you’re insulting me, then you’re insulting my wife. You’re insulting the 300 authors, those MDs, those PhDs, those brilliant people who wrote the original literature. Tell me where people should go out and get the new book, You Can Fix Your Brain? If you go to our website, the TheDr.com, it will take you to Amazon or Books-A-Million or wherever you want to go. There are five or six different options, but then there’s a bunch of downloads that you get. We send you a bunch of stuff that helps. I’ll give you an example. We talk in great detail in the book about this and we’ve got this test available. It’s a sniff test and it’s like a lottery card. You scratch it and you go, “That smells like strawberry, it is strawberry.” The next one, “That smells like a leather, it is leather.” Good. It’s a twelve-scent scratch test. If you score eight or less correct, you got a problem. It’s a huge problem and it has nothing to do with your nose because the nerves of scent go right back and right on top of your memory cells. Our ancestors, this is the way we’re built. If you’re walking down the trail and all of a sudden you smell saber tooth tiger, you’ve got to have an immediate response to know what that faint scent is and get out of there quick. That’s why the scent nerves are right on top of the memory nerves. We give you the studies also that if you’re over 70 and you’re losing your sense of smell, it’s a very accurate predictor of much higher risk of mortality within five years or something. It doesn’t matter, you’re going to die unless you turn around the inflammation that’s going on in your brain. If you’re younger than 70, you’ve got brain deterioration mechanisms going on right now and you may feel fine, but if you’re losing your sense of smell, you’ve got a problem. It’s an early biomarker. It’s an early indicator. It’s so cool. I’m so proud to have this available for people. This is on the website, TheDr.com so people can get that kit. They can order that kit. You send them the kit, they take the test at home, see where they’re at. They freak out and then they come back to you looking for more information. Dangers Of Gluten: You’re going to die unless you turn around the inflammation that’s going on in your brain. They freak out and then they go back to their doctor, like go back to Dr. Wolfson and say, “I did that smell test. I didn’t do very good. What’s next?” The next thing is the Neural Zoomer. You look to see how much inflammation is going on, what are the biomarkers of inflammation in the brain. Then you do the deep dive into functional medicine. Where’s the inflammation coming from? Is it gasoline or kerosene? We know it’s the brain that’s suffering and so then you start to do the investigation. You figure out, is it food? Is it aluminum? Is it mercury? Is it mold in the house? Where is it coming from? You do the deep dive, but you never know to do the deep dive unless you do the smell test and say, “I’ve got a problem here.” This is an early marker of a brain deterioration problem. I’m so proud of this book and that’s why it’s number one in seven categories on Amazon because it’s like, “What?” when you read this book and also I did the audio on it. That was the hardest thing I’ve ever done. I’m glad you did it because when I was asked to do the audio for mine, I didn’t. I wish I did, honestly. It was a mistake. I should have done it for mine, but I can imagine how painstaking that was because it’s not just you sitting back in your chair like you’re smoking a pipe and telling the story. You’ve got to make sure you dial it in. You mentioned inflammation. All cardiologists know that inflammation is bad, but why? Let me say one more thing too. Is the book available for purchase on your website directly from you? I want to say this. Amazon is fantastic. They’re so convenient for so many different things but Amazon is a trillion-dollar company. They’ve got enough money. Buy the book from Dr. Tom at TheDr.com, that’s my personal preference for you, Dr. Tom. You already got your Amazon bestseller status so we’re good with that. Now it’s time for you to reap the total rewards. The book is out. What’s next for Dr. Tom O’Bryan on his changing the world health mission? We talked about some other things. Some of the things that are problematic for leaky gut, why people aren’t getting success. You talked about the importance of prebiotics. If you’re out there, you can go to TheDr.com for information about probiotics and the gut microbiome, that if you’re not healing that leaky gut, there’s a problem there. Tell me what’s next. Why is it an apple a day keeps the doctor away? What’s that all about? It’s very true because, Mrs. Patient, I want you to take four or five apples. Wash them, leave the skins on them, cut the seeds. Dice them to get the seeds out of there, put them in a pot, add water to about a third the height of the apples. Add some cinnamon in there. If you got kids, maybe a couple of raisins. Turn it on high in about five to eight minutes. Look in the pot. If you see the skin is starting to shine, turn it off, it’s done. In Europe, they call them stewed apples. Here, we call it applesauce, but the shine on the apples means the pectin has been released from the apples and is easily accessible to the lining of the gut. The pectin is a primary fuel to significantly increase Intestinal Alkaline Phosphatase, IAP. Intestinal Alkaline Phosphatase stimulates healing intestinal permeability, builds support for the probiotics, lowers serum cholesterol, lowers serum triglycerides, reduces metabolic endotoxemia by 75%. It’s remarkable what IAP does and the pectin in apples increases your IAP levels. It is an apple a day keeps the doctor away. Every protocol for intestinal permeability must include fresh applesauce. Thank you so much, Dr. Thomas O’Bryan. Check out his website, TheDr.com. Thank you so much for being on my show, The Healthy Heart Show. We’ll see you next time.